During this last year, we’ve seen UMIDIGI greatly improve the build quality on their handsets, along with better materials, specs and a more mature software development team. That’s probably why UMIDIGI has reached the success few other growing Chinese phone maker have done, at least as far as online popularity goes. The company is, of course, aware of that and this is why they’re very confident the UMIDIGI Z PRO will do very well in the market. Their latest flagship is indeed the best phone they’ve ever released, coming with a pretty interesting set of specs, modern design and very reasonable price. 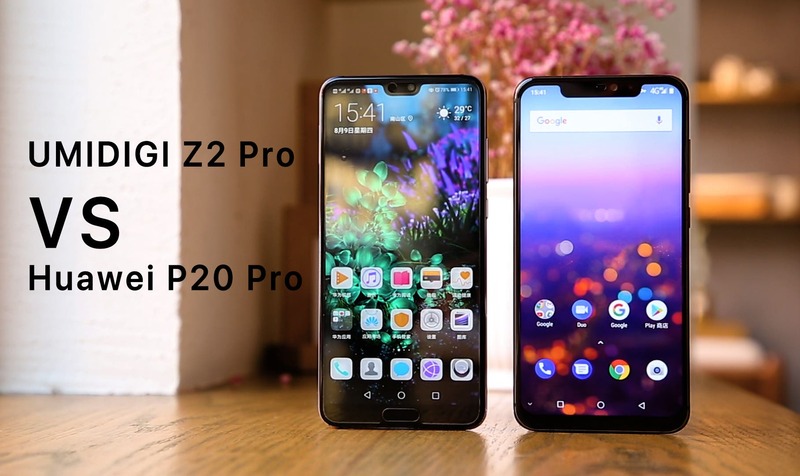 Pricing is what probably lead them to compare their UMIDIGI Z2 Pro against the much more expensive Huawei P20 Pro at around three times the cost. So, with that in mind, let’s check out the comparison video below. Both phones appear to have a flagship-grade build quality and sport that premium look. On the front, both of them feature a FHD+ display with the notch. The Z2 manages to reach a smaller bottom bezel because of the rear fingerprint scanner. The Z2 PRO also comes in a luxury Ceramic variant along the popular Twilight Gradient and a new Carbon Fiber one, while P20 PRO offers the same Gradient color, in addition to plain black, a midnight black and pink ones. 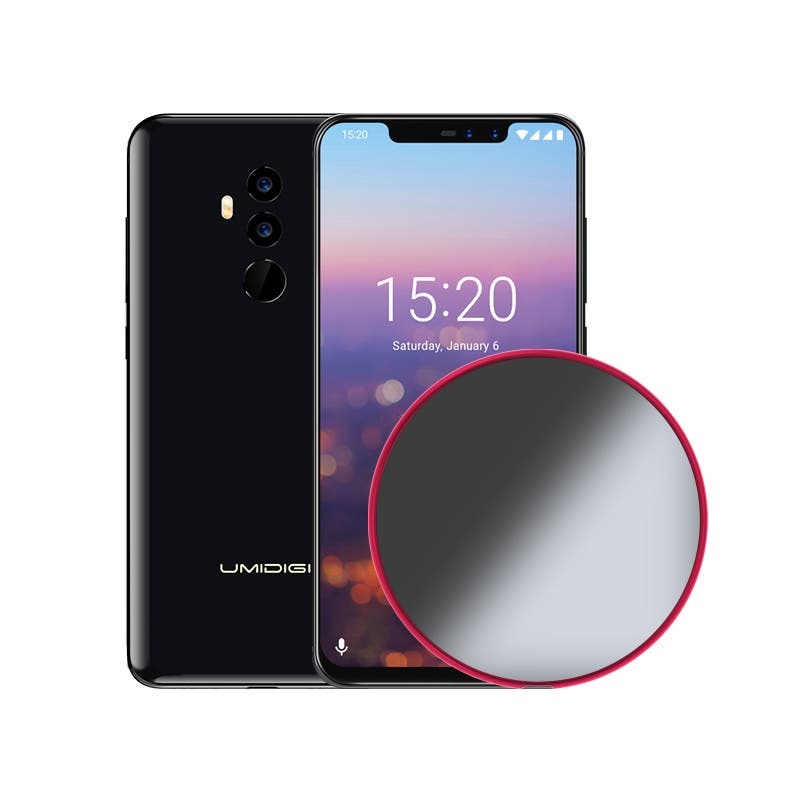 On the back, the UMIDIGI Z2 PRO chose to have a symmetrical design of the cameras and the fingerprint sensors, while the P20 Pro went for the “Apple style”, with decentered cameras. Both phones offer first class shooting options: UMIDIGI chose a dual setup with two 16+8MP sensors, with an aperture of f/1.7, Huawei’s flagship used three cameras with 40+20+8MP with f/1.6 aperture, so the P20 Pro has the edge here, but let’s not forget the $1000$ vs $299 price tag, and we are also very anxious to see how the Z2 PRO will perform, since it will also use improved algorithms paired with top SAMSUNG sensors. We are pretty sure we won’t see 3 times worse photos, but a closer competitor. 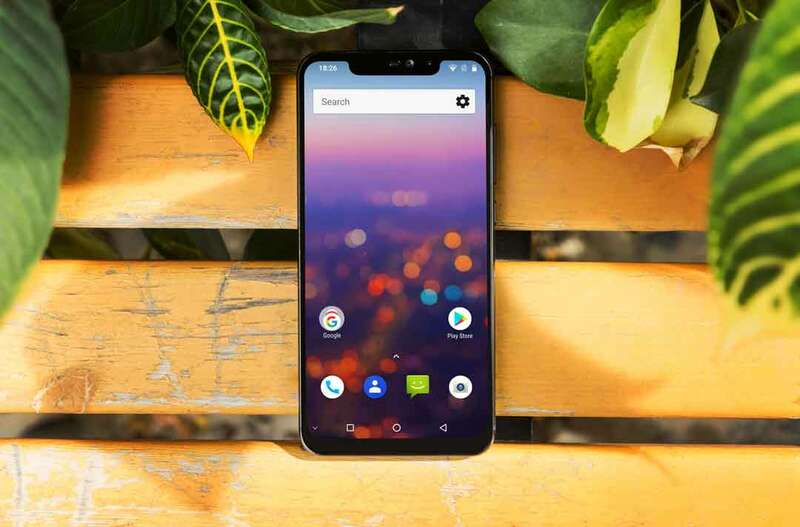 Both smartphones come with Android 8.1 Oreo, but they use 2 different approach: UMIDIGI chose the Android Stock Experience, for a system free of bloatware, fast, stable and open for users customizations, while Huawei used their own skin, called EMUI, which brings a more customized experience, so it’s just a matter of tastes here. That’s where the Z2 PRO really shows how it’s done: for 299$ it’s able to offer an extremely well-rounded product able to go toe-to-toe in many aspects with the $1000 flagship P20 Pro, and even offering some extra features like the wireless charge and the luxury Ceramic Variant. Are the Extra HP of the processor and the triple cameras enough to fork 700$ more, if you can find an affordable and well-rounded device with very good performance, premium materials and top build quality at 1/3 of the price? UMIDIGI doesn’t think so and really believes in its product, labeling it as “A Flagship for Everyone”. 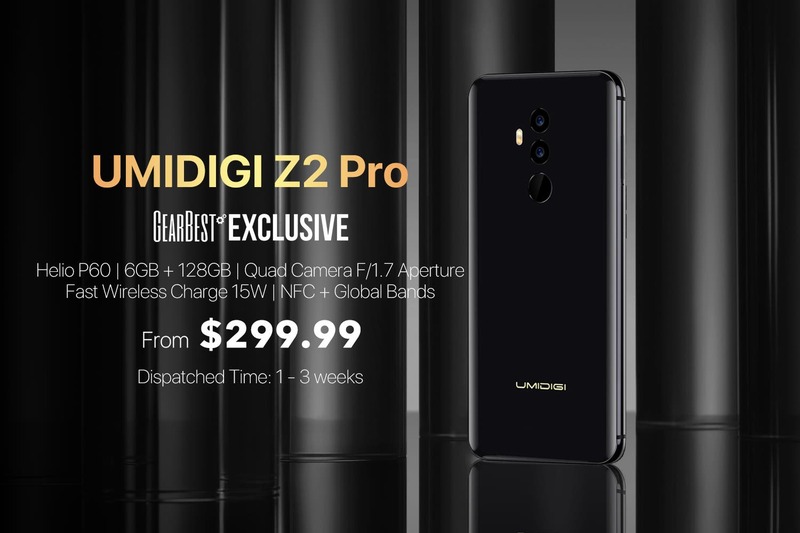 Global open sales for Z2 PRO are open at Gearbest from $299.99! The time is limited from August 13th till August 19th with up to $60 off. Snap now and Learn more UMIDIGI Z2 Pro on official website right here.